Most counselling training programmes offer little or no information on how to work with couples. Yet couple work is very different from working with individuals, and if you do decide to work with couples, it’s important to learn the basics of how to facilitate a couple session. We offer a full introductory programme of training in how to excel as a couples counsellor. The course is four days long spread over two weekends one month apart. The course runs two or three times per year. New dates have now been set for summer 2019: 8/9 June and 6/7 July 2019 from 10am to 5pm each day. The course will run at a training venue in Greenwich, London SE10, very close to Greenwich DLR which has direct links to London Bridge and Cannon Street. Or if you would like us to run the training at your place, just let us know. Behavioural – working out self-change goals for each partner and holding a future vision of what the relationship may be. For more information, click on the training page. ♦ This was one of the most informative and useful trainings I have experienced. Excellent trainers, thorough handouts, lots of practice. Highly recommended. Don’t become a couples counsellor without this training! 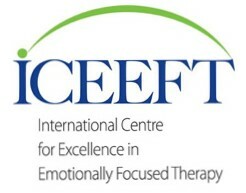 ♦ ‘An extremely full and informative course for therapists. Diverse in content approaches, and very well supported with copies of information given. Great balance between interactive and didactic approaches and good to share existing and future work with other clinicians. Gives space to explore the parallels between ones own experiences and the clients which is an essential part of our ongoing practice. Good for therapist new to couples work and to those well versed in the practice. ♦ Very well organised with excellent handouts. warm, professional delivery. Excellent course. Thank you. ♦High quality training delivered with a real depth and enthusiasm. I wouldn’t hesitate to recommend. “A lovely balance of learning through a variety of methods. Very interactive and felt like a safe learning environment. A very enabling approach by Debbie, acknowledging all participants’ experiences. A good acknowledgement of different learning styles.” (Margaret Headland; Headland Therapy). ‘I attended the couples counselling 4 day course run by Debbie. I have to say, this has been some of the most helpful study days I have attended. The course is very comprehensive, and well thought out. Each day has a range of topics and techniques. Debbie sets out to explain the information, then allows time to practise the techniques, and time to discuss at the end. She covers a vast range of information, which is supported by a very comprehensive selection of handout and forms which can be used with clients. There is a good selection of books and information about couples and relationships available at the course Since finishing, I have been in contact with Debbie, and she has been very helpful in offering suggestions of further information and ideas. “You saved our relationship, and as a consequence our family, by teaching us tools that helped solve problems and conflicts we were struggling with for years. We would not have been able to do this on our own – we did try. that was causing most of the problems in our relationship & that we needed to take action to put a stop to it. Debbie is very experienced and a great facilitator & adviser. 1000% recommended! Copyright © 2019 Couples Counselling Training. Powered by WordPress. Theme: Esteem by ThemeGrill.